People gazed at the sky in wonder and cheered while others knelt in prayer as a total eclipse of the sun unfolded over Indonesia. 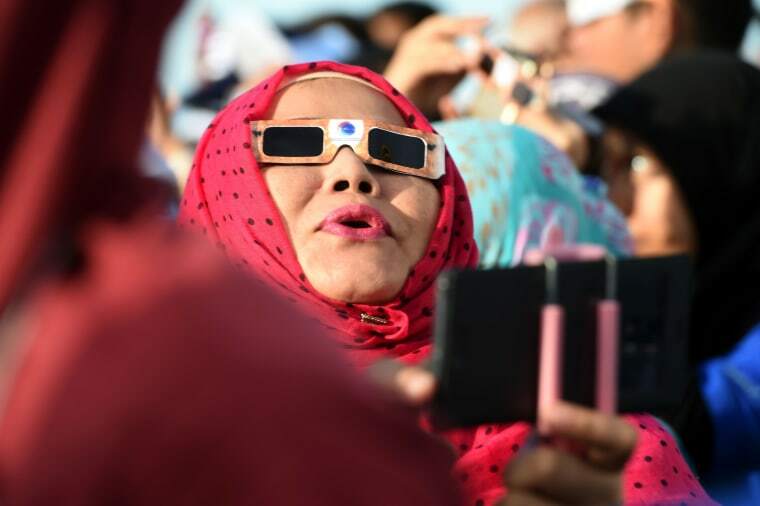 A total solar eclipse swept across the vast Indonesian archipelago on March 9, witnessed by tens of thousands of sky gazers and marked by parties, Muslim prayers and tribal rituals. Partial eclipses were also visible over other parts of Asia and Australia. Above: Students record the partial solar eclipse through a telescope at a sports field at the National University of Singapore in Singapore on March 9, 2016. 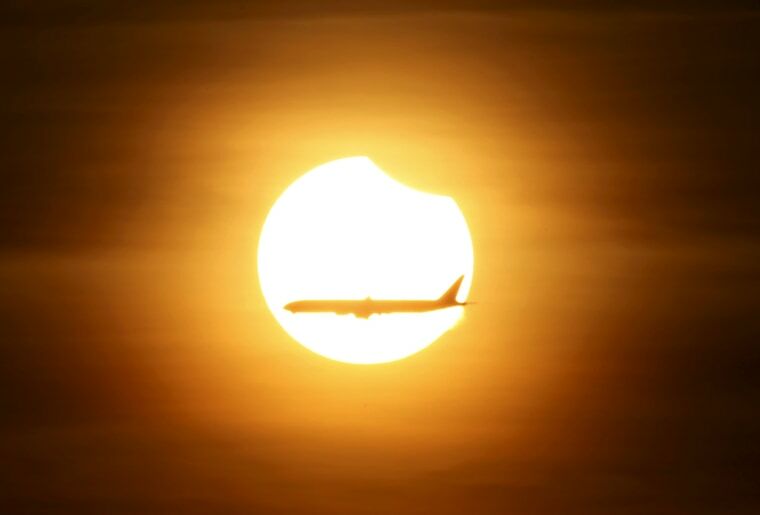 An airplane flies past the sun as it goes into a partial solar eclipse in Singapore on March 9. The rare partial astronomical eclipse was visible in Indonesia, a swath of Asia and in northern Australia. 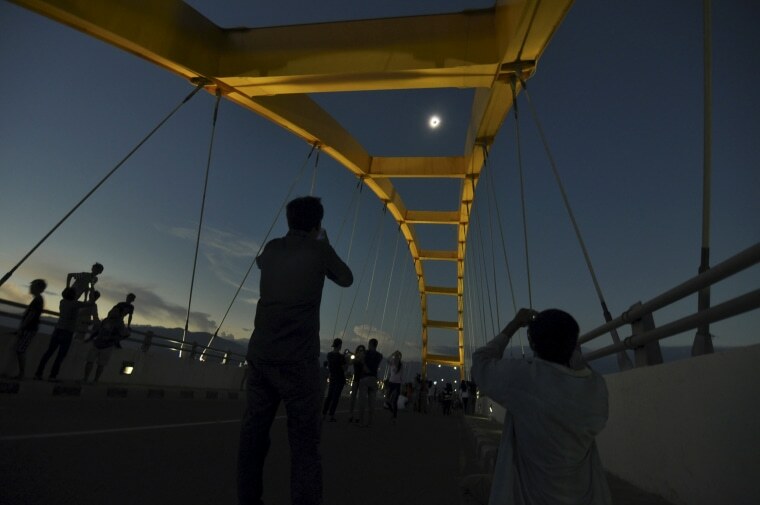 The eclipse was witnessed along a narrow path that stretched across 12 Indonesian provinces and some parts of the Indonesian archipelago, encompassing three time zones and about 40 million people. 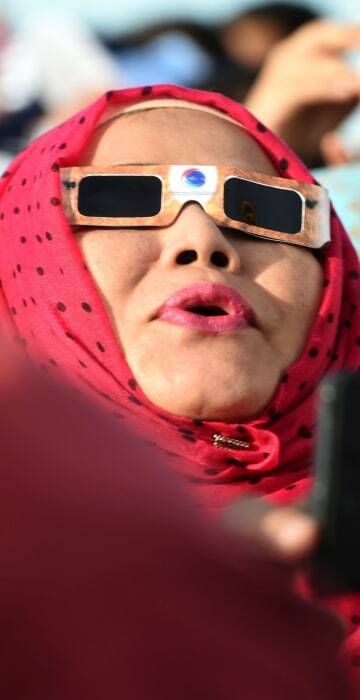 Above: An Indonesian woman joins other passengers to watch the total solar eclipse on board the cruise ship KM Kelud near the island of Belitung in Indonesia on March 9. 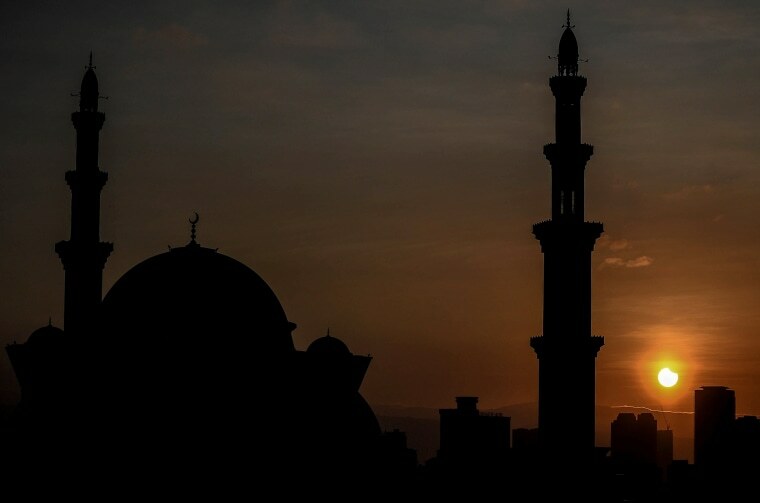 A general view shows a partial solar eclipse behind the Wilayah mosque in Kuala Lumpur on March 9. Most eclipses are partial but when the moon is close enough to the Earth, the sun is completely eclipsed by the moon's shadow and only a spectacular ring of rays known as the corona is visible. People watch the solar eclipse near the Ampera Bridge along the banks of the Musi River in Palembang, Indonesia on March 9. The last time a total eclipse occurred over Indonesia was in 1988. Unfounded fears and misinformation caused panic, with people papering windows and keeping children indoors. 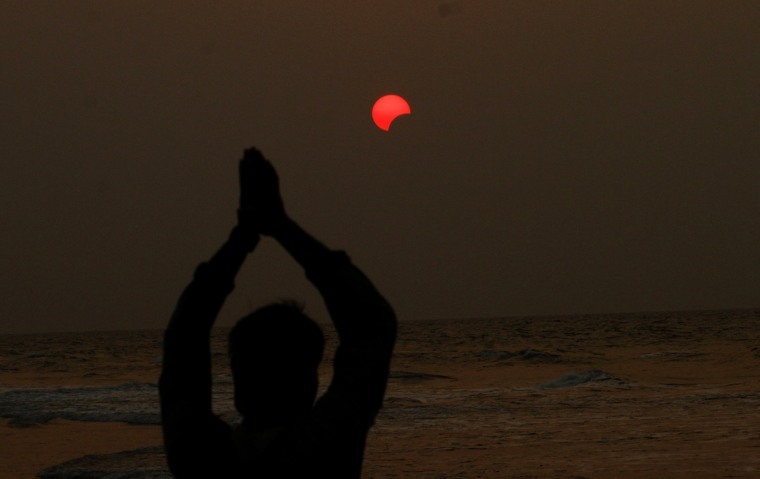 An Indian fisherman prays to a partial solar eclipse seen in the sky over Bay of Bengal in Konark, India on March 9. 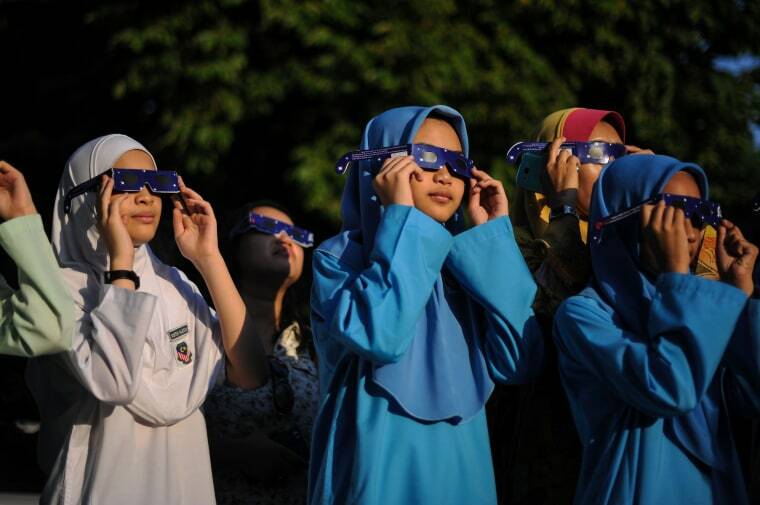 Malaysian school children wearing glasses with special filters watch the partial solar esclipse at the National Planetarium in Kuala Lumpur on March 9. 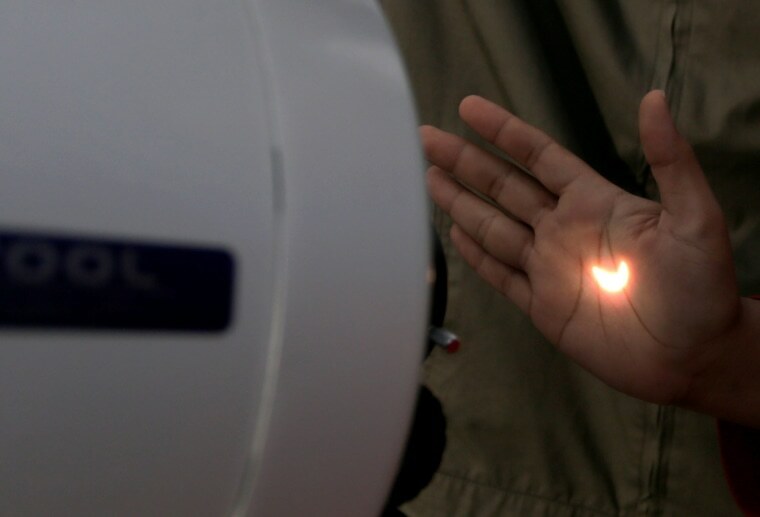 A partial solar eclipse appears on the hand of a girl in Palembang, Indonesia, on March 9. 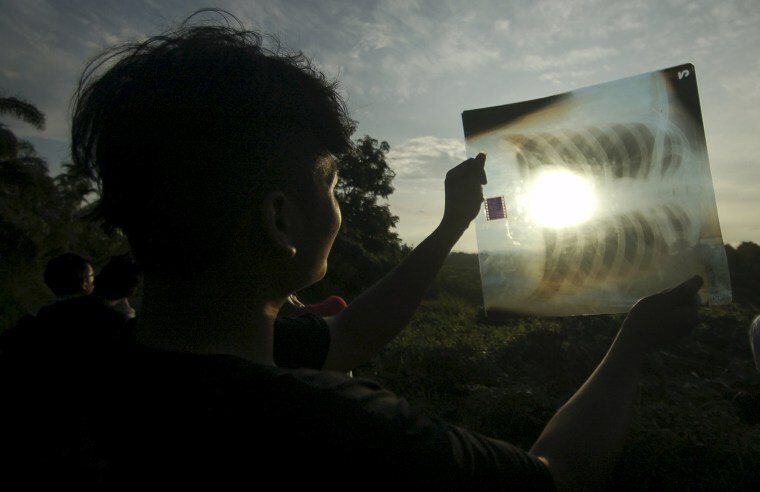 A person uses a medical X-ray film to view the sun during a solar eclipse in Silaut, Indonesia on March 9. 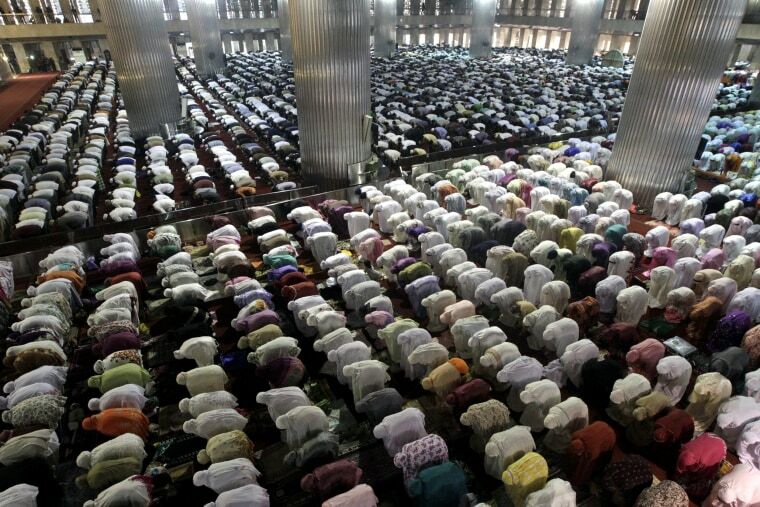 Indonesian Muslims pray during a partial solar eclipse at Istiqal Mosque in Jakarta, on March 9. 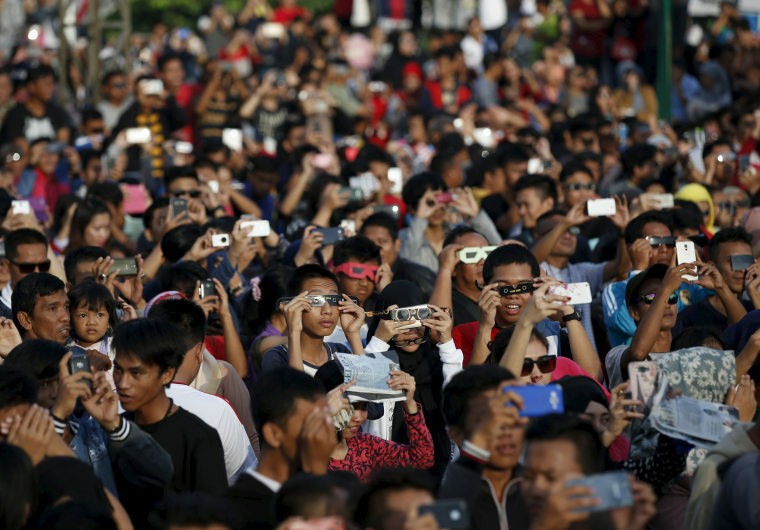 People watch a total solar eclipse from the Bay Bridge in Palu, Indonesia on March 9. The eclipse briefly plunged cities into eerie daytime darkness and startling wildlife. 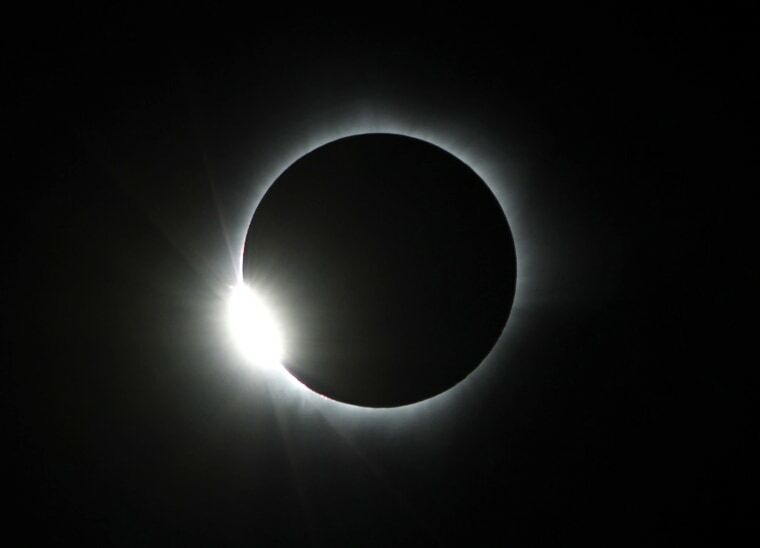 A diamond ring solar eclipse is seen from Matantimali, Palu, Indonesia, March 9. The total solar eclipse was visible between 1.5 and 3 minutes starting at 7:21 local time (0021 GMT), according to the Indonesian Aeronautics and Space Agency. This photo combo shows several stages from beginning to end of a partial solar eclipse seen in Indonesia, on March 9.